For this year’s Singles’ Day shopping festival, Chinese consumers spent US$45.3 billion buying smartphones, laptops, and stocking up on snacks, tissues and shampoo. Two weeks later and they’re spending again, but this time not on domestic bestsellers. In recent years the US shopping festival Black Friday has become more popular in China as the desire for foreign brands grows. 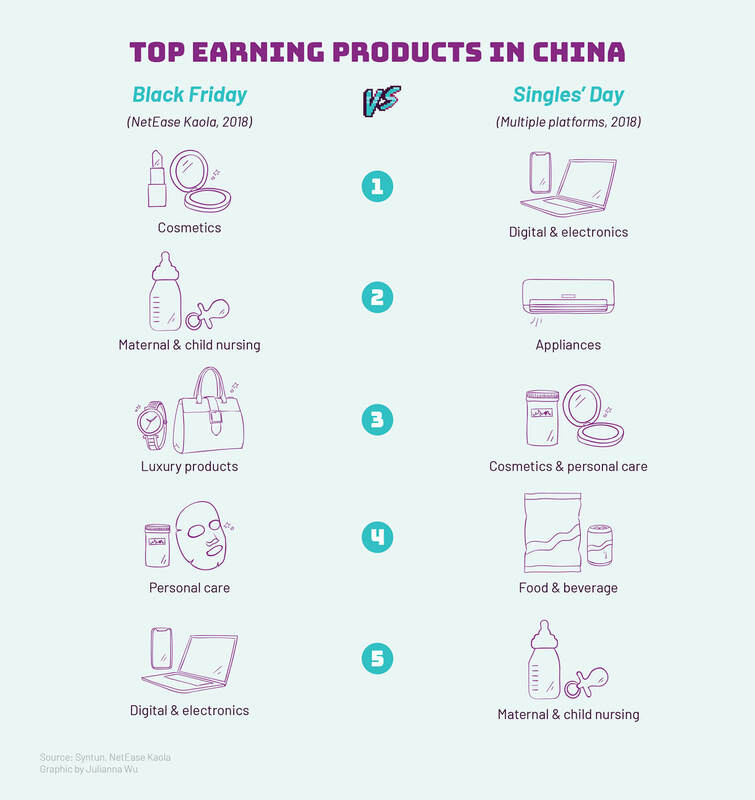 Although we don’t have a specific figure for how much Chinese people spent on Black Friday, it’s definitely a small thing compared to Singles’ Day. 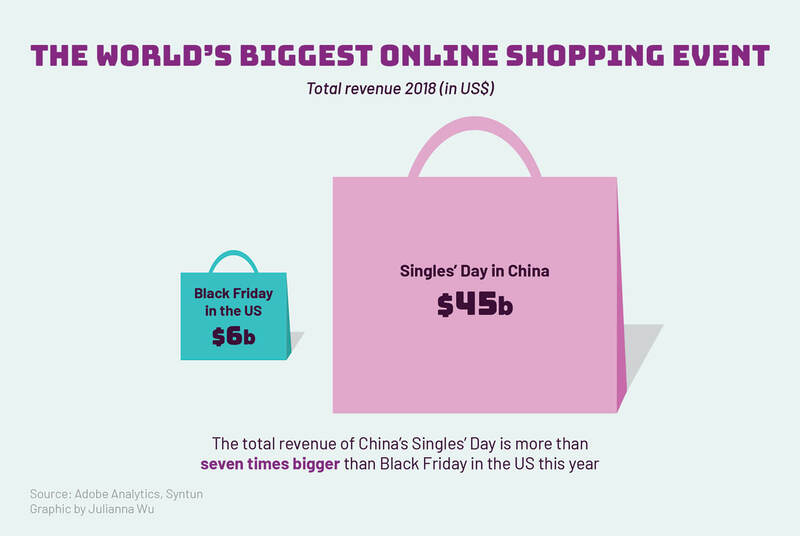 In fact, Black Friday overall is tiny compared to Singles&apos; Day, which is the biggest online shopping festival in the world. There were Black Friday events hosted on Chinese ecommerce platforms where you can buy directly from popular overseas merchants. But international shopping sites are also favoured by Chinese buyers, as their relatively little-known brands provide a sense of uniqueness. American online shopping sites Shopbop and Mytheresa offered Black Friday discounts in Chinese. As a middle-class banker in her early 30s, Liu isn’t as crazy as many other locals are when it comes to the Singles’ Day shopping festival. Compared to Singles&apos; Day, Black Friday in China is more about luxury brands, digital products and gift boxes, said NetEase’s cross-border retail site Kaola. However, high shipment fees and longer delivery periods are always painful for Chinese customers who want to purchase overseas products. For example, when buying an item that’s worth US$34 from Amazon’s site in China, the shipment fee from the US could be as high as 17 percent of the price. On top of that there’s a 13 percent tax applied at the Chinese border. Shopping bill on Amazon China when buying an item from the US. To lower the shipment cost (and sometimes avoid the tax and duties), Chinese customers sometiemes send their packages to a US or Hong Kong address first, which is usually free of charge, then contact international shipping service companies or local friends to deliver them to China. Whether done this way or shipped directly to China, it takes a week or even longer for parcels to arrive. Although some US sites have started to accept Alipay as a payment method, in general it’s still inconvenient when compared to buying things on Taobao or JD.com. But both Zhu and Liu think it’s worth the time and energy. “As long as you don’t buy big stuff like appliances, Black Friday saves a lot of money,” said Zhu.